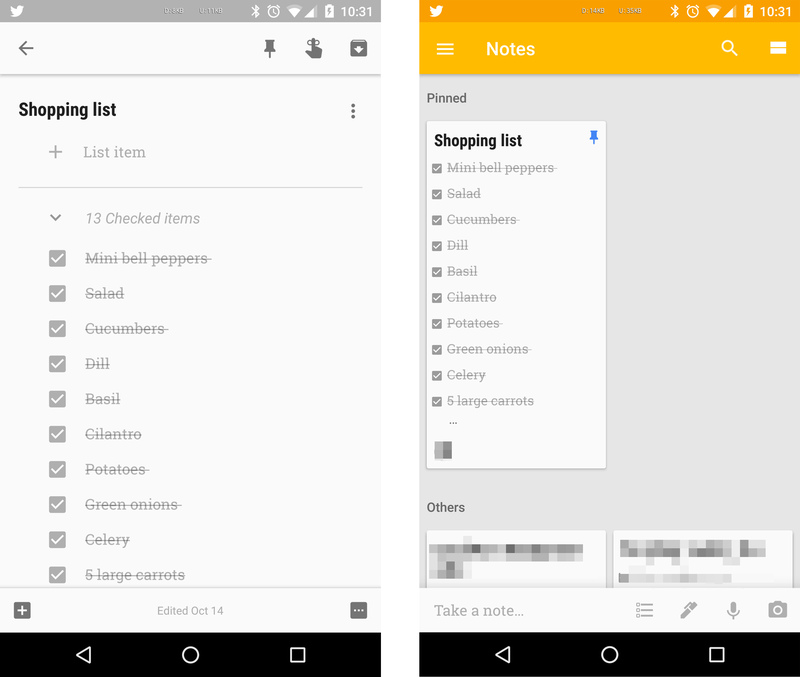 Google Keep has become a nice little note taking app. While it lacks some of the features of more mature tools like Evernote, Keep is infinitely easier to use. Now, it's getting a feature it should have had a long time ago—pinned notes. We first spotted this feature in a Keep teardown almost exactly four months ago. That's an awfully long time to sit on a fairly straightforward feature like this. Whatever the reason, it's here now. To pin a note, open it or long press and tap the pin icon at the top of the screen. When you have pinned notes, there will be a separate pinned section at the top of the main list. We have not spotted any other significant changes, but will update if anything comes up. If you don't want to wait for the Keep app to reach you via the Play Store, grab it from APK Mirror. It looks like this version also adds app shortcuts (previously launcher shortcuts) to Keep. 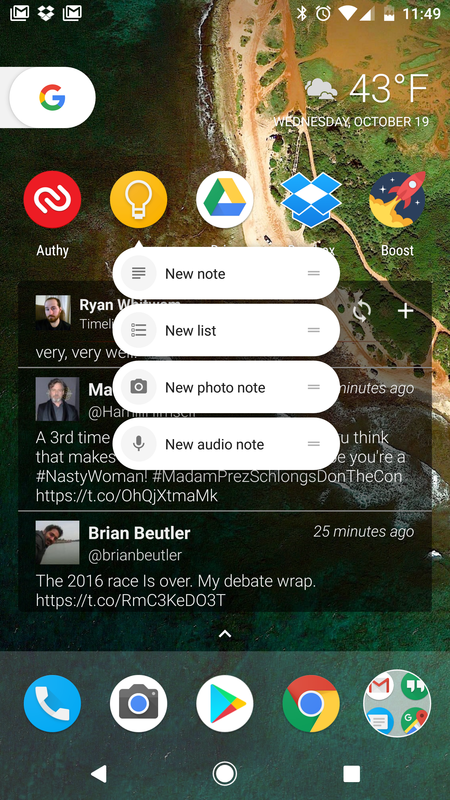 On a supported device, long-press and you'll get options for new note, new list, new photo note, and new audio note.